Somatic Experiencing® (SE™) is a body-oriented approach for resolving trauma symptoms with training programs in over three dozen countries around the world. It was developed by Dr. Peter Levine, PhD, the recipient of the United States Association for Body Psychotherapy’s lifetime achievement award. Based on the neurobiology of trauma and using concepts and tools such as autonomic freeze, tracking of body sensations and involuntary movements, resourcing, discharge, completion of incomplete defensive responses, titration, pendulation, trauma and healing vortices, and regulation, the approach relies on downregulating autonomic and somatic nervous systems as the primary strategy for resolving physiological as well as psychological symptoms of trauma. When working with more complex aspects of trauma such as memory, cognition, emotion, and behavior, the same tools, concepts, and strategies for working with the body are usually employed. What does Somatic Experiencing lack in practice? As effective Somatic Experiencing has been found in healing trauma symptoms, the singular focus in the approach on downregulation of the physiology towards rest as soon as any aspect of traumatic experience gets too intense to prevent re-traumatization often compromises its effectiveness in working with more complex cognitive, affective, and behavioral aspects of trauma as well as psychosomatic (psychophysiological) symptoms from trauma. This focus on downregulation is in part due to the lack in the SE approach of adequate understanding of the physiology of emotions and other psychological experiences such as memory, cognition, and behavior; and in part due to the lack of understanding that healing and resilience depend more on global and stable reorganization of the body and brain physiology and increased capacity for all aspects of traumatic experience including emotions. In fact, excessive and frequent regulation of the body can destroy complex experiences of memory, cognition, emotion, and behavior as they emerge, diminish forces of self-regulation, thwart global and stable reorganization, and the building of capacity of psychological aspects of trauma, especially emotions, things that are not only important for healing symptoms in the short term but also for building resilience for the long term so that a person is less likely to be affected by future traumas or more likely to heal from them quickly. How does the ISP Professional Training complement Somatic Experiencing? The ISP™ Professional Training offers therapists practicing Somatic Experiencing complementary theories, concepts, and tools for working more effectively with all aspects of traumatic experience as well as all kinds of traumas (simple versus complex, shock versus developmental). ISP utilizes the science of the physiology of emotions and other psychological experiences, a broader model of biology of regulation, and principles of energy psychology to regulate the brain and body physiology and at the same time develop a greater capacity for all aspects of traumatic experience including emotions, foster deeper self-regulation, and promote global and stable reorganization for quicker symptom resolution and greater resilience in the long run. 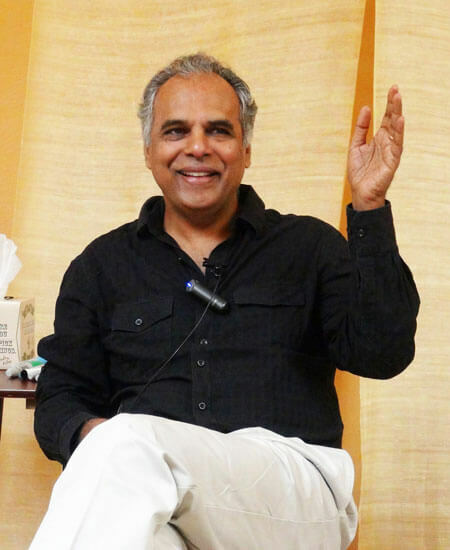 In addition, ISP, from Dr. Raja Selvam’s experience of teaching Somatic Experiencing over twenty years in as many countries, offers SE therapists an understanding of how not to thwart more complex experiences of trauma such as emotions, memory, and behavior from forming and developing when they use the traditional SE approach with its emphasis on downregulation of the physiology towards states of rest and relaxation. ISP can therefore be a valuable complementary training for all those who practice Somatic Experiencing (SE). Explore the ISP Professional Training for SEPs.